This page was last updated on 29 september 2018 . Just some pony stuff I like. A great selection of hand-picked pony videos. Your fast-track to the brony fandom! 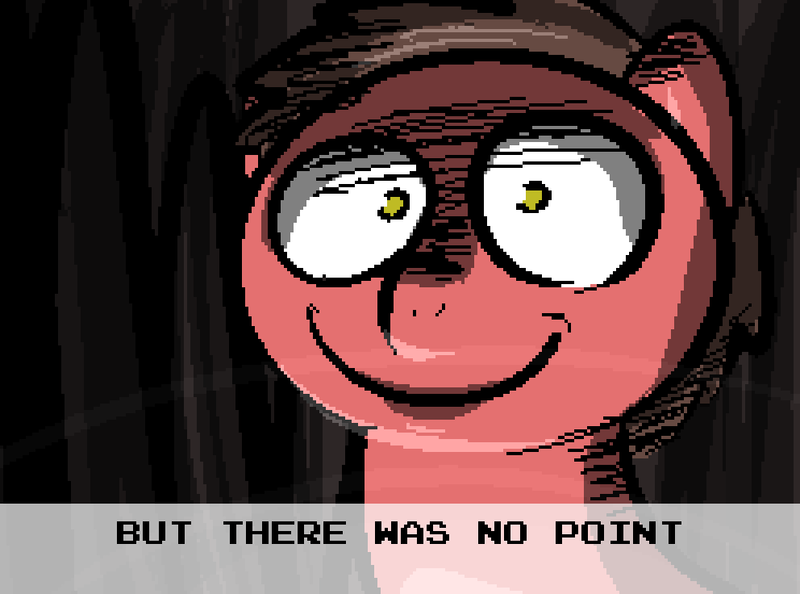 I made a new pony reaction image called "But there was no point". This is just a scene from Banned From Equestria Forever (18+) that I edited to read "But there was no point" instead of "But there was no key". Getting all the details right actually took several hours, lolz. Anyway, I thought this should exist, and now it does. I hope it amuses someone besides me. Videos: I've moved the PMVs (which were previously in the "Misc" section) into a separate section. Further note about videos: Right now, the focus is generally more on "faster-paced" videos. In the future, there will be a "supplementals" section on a separate page, with sections such as "Light fun" (notably, "Let's Boop" will be moved there) and "Slice of life". At least part of the "Questionable" section will be moved there. Some videos from other sections will also be moved in equivalent sections on that page. There will of course be new videos, too. This is just the beginning! Started this website, mostly as a backup of non-clop pony stuff I like. All content is property of their respective owners. This shall forever remain a not-for-profit fansite. This site is not affiliated with the featured content or their owners. My Little Pony belongs to Hasbro.